Edited by NimoStar at 09:38, 23 Sep 2018. Please note this is a "dirty" release, intended for modders to test. I've discovered how to make games run in different languages. H4 does not use text. They just look like words, actually they are pictures. Commonly referred to as raster fonts. If you can make the same modifications to other language versions of EXE,Then it can run in other languages. Edited by kkfkkkfk at 09:46, 24 Sep 2018. We have done some work on this matter. I observed the way of game agents. They may approach the original version. H4 has not considered supporting other languages. If you need to display other languages, you must modify the EXE. This code represents the output of the text. Other language versions need to modify this code. Because the length of different versions of code is different. So their sizes are different.. Similarly, their memory addresses will change. However, the Chinese version we use is exceptional. Its address is consistent with the English version.So you can modify it like modifying the English version. If you are willing to make a Chinese version for greatest mod, I can mail EXE to you . My .exe is based on Equilibris, do you know if that "pointing" you did in your unique chinese version would work too? I can't make a chinese version as I can't translate chinese this way. Don't worry,Our Chinese version has been revised. In fact, the genuine simplified Chinese WOW does not exist. 3DO has collapsed so early that many problems have not been solved. The existing simplified Chinese version is made by the players. Raster fonts are not used here. We created an external Character Matrix Library. I will provide the Chinese version of EQ3.55 to you. You can't run it directly in the English version, because the text is not in the same place.They are only for modification. Edited by Roman2211 at 10:13, 25 Sep 2018. Why do you care about this problem? Chinese language is divided into simplified Chinese and traditional Chinese. In mainland China, simplified Chinese is used. The traditional Chinese version is only applied to Taiwan and Southeast Asian markets. Interwise is a Taiwan game company. The games they issue are traditional Chinese versions. I do not agree with the traditional Chinese version of the game. Compared with the English version, they have many defects in translation and programming. Can you understand what I mean? We are in different areas and use different Chinese language. Edited by Roman2211 at 10:41, 25 Sep 2018. I understand, I have a question, can "Interwise" to share the source code? You do not want to ask them... if you do not believe that source code was access of the Chinese community, just search in Google: "streambuf_operators.cpp"
They do not sell H4. for many years. And no update was made after 3DO failed. I don't think they have source code. But I will try to contact them. Edited by NimoStar at 10:36, 26 Sep 2018. My tests indicate this version has problems with Coliseum of Magic. When trying to enter, the game will crash. Cause of this crash is unknown. It may have to do with experience calculation for hero opponents, or a bad string. Mythical Dragons (the opponents of the colisseum) work fine as creatures. That's cool, maybe I will put this in alternate release of next full version. but be aware that I asked for translation of my mod for a reason. The Equilibris 3.55 strings do not match my mod strings (including in Spells and Creatures). SO you will be reading wrong info in many cases. I think that company would have the source code, but it will be hard to contact any of them if it doesn't exist any more. The Coliseum needs a complete music file(music.h4r), otherwise it will collapse. Or close music is OK.
You need to make changes to EXE&dll.Other questions are very simple. I can finish the translation of the text and give me the text type files in H4R. Thought extracting the text was very simple... you want me to upload the text for translation? If so wait until new version is completed, since it includes the modification of Magic schools. I had remade the "music.h4r" complete but the new version is not read by colisseum and then crashes. It seems that you use very strange *.h4r packer. Output file lacks filesize field inside. It seems that this is why it crashes in colliseum. If filesize is zero - this means that this is pointer to another file, so in some cases game can misunderstood why there is zero size. Years ago I modified mh4 to support pointer files inside h4r archives but it seems that nobody uses it. Edited by NimoStar at 06:17, 02 Oct 2018. And the Radmutant version packed file also had the crash. 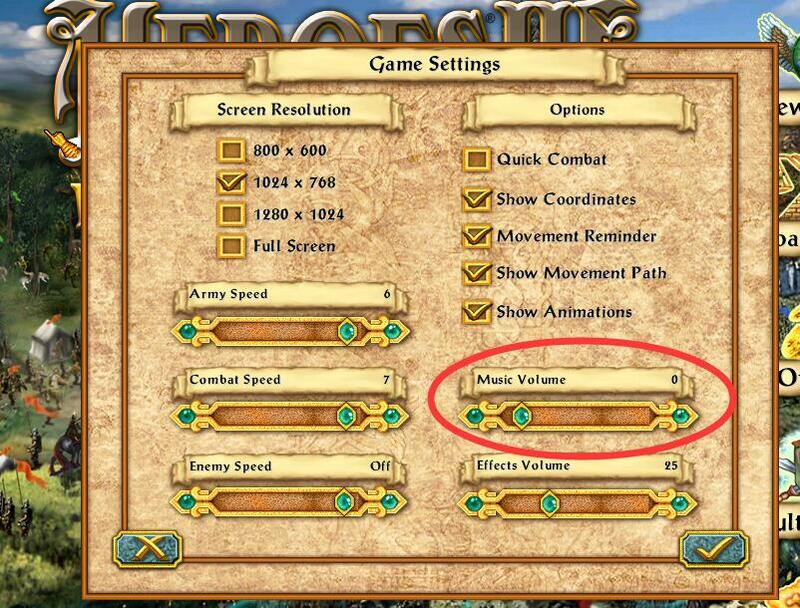 When you close the music in the game settings, even the music file error can run. I mean, the modification to EXE that I sent you is done by you. Because you are the author of MOD. Then, I can finish the translation of the text. Only after the main program and text are modified can it run in other language environments. Finally, look forward to your new version. If I can ever find it again, I will continue modding. But my point is: Don't have high hopes that there will ever be a new version. The amounts of files needed for H4 "greatest mod" is staggering. And not even the extant ones can be recovered from existing files online since they were packaged using an imperfect algorithm that doesn't allow unpack.